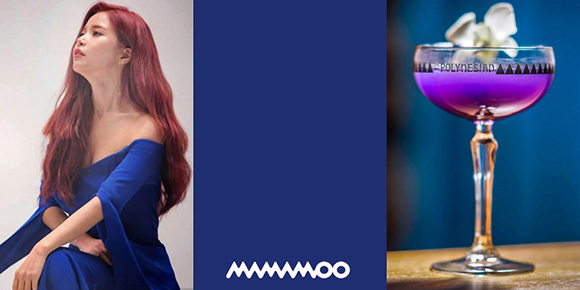 Mamamoo’s Four Seasons x Four Colors x Four Drinks~ | personal.amy-wong.com - A Blog by Amy Wong. 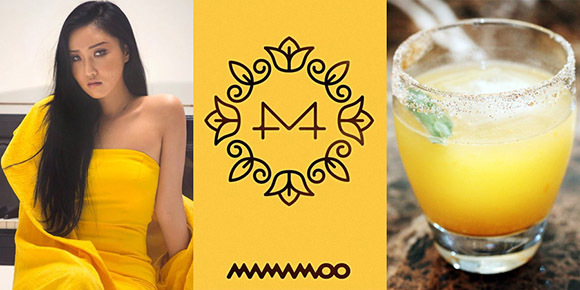 First off~~~ Hwasa’s Yellow Flower drink: the Ginger Apricot cocktail. Whee-in, you’re supposed to add your liquid ingredients (except the soda, coz lol carbonated) in the shaker with ice, shake it to chill it, and then pour it in your glass (with large ice cubes) through the strainer. Add some pureed apricot, top with soda. You could probably substitute the vodka (and soda xDDDDD) with non-alcoholic ginger beer. This is my favorite brand. 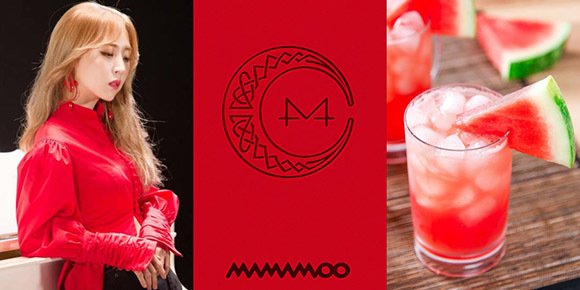 For Byul’s Red Mood, we got: the Sparkling Watermelon cocktail. You gotta blend the watermelon, and then strain it so it doesn’t look lumpy. Ice, fill half a cup of watermelon juice, squeeze the lime and top with the gin and/or the ginger ale. For Solar’s Blue fall season, it was tricky~ but I settled for: the Commodore Daiquiri. It’s not exactly blue, but you want to skip Curacao coz it’s gross. xD And it’s fall. IT’S TRICKY coz the daiquiri sounds super Pacific Island summer, but it’s listed on the Fall cocktails list of Town & Country magazine xD maybe because it has ube/purple yam extract, which gives it its distinct purplish/blueish tone. 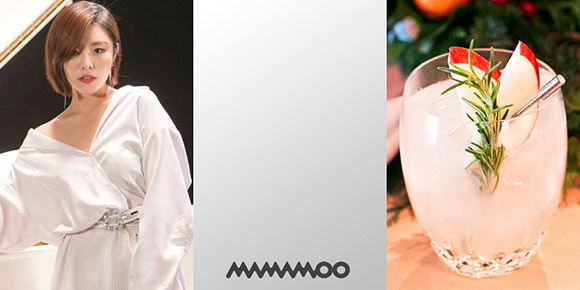 For Wheein’s White winter season, it’s tricky coz it’s WHITE! But I settled for: the Apple Rosemary Rickey. It’s funny how everything in winter is heavy and spiced. More spiced that in the fall. So I almost fell for the Snowflake Martini, and LOL since Whee-in is a Harry Potter stan, I was gonna go for the Butterbeer… but decided for something lighter. You gotta crush the apple with the rosemary leaves, then add the Cointreau, the lime juice, put ice and top with the soda. Stir it a bit, and then garnish it with another couple of apple slices and more rosemary.